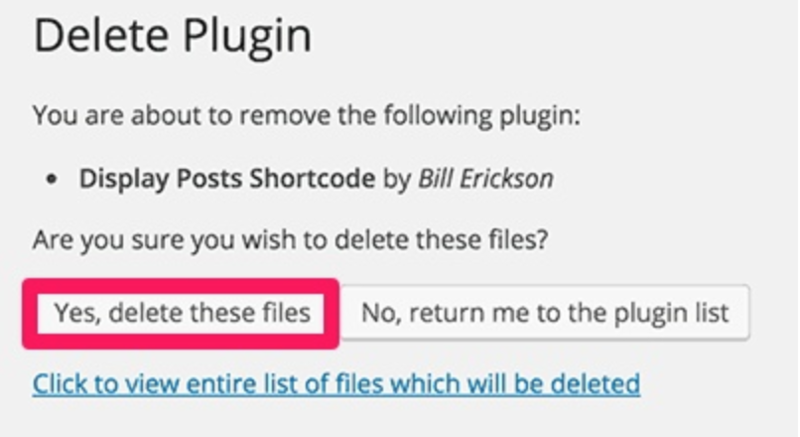 WordPress Plugins: How Many is Too Many? There are tons of reasons why WordPress plugins are a necessity. They offer a ton of features and functionality that your site doesn’t have otherwise. With plugins, you can customize the site you’ve already built to better suit your needs and serve your visitors. But you’ve probably heard that having too many WordPress plugins on your website is bad. There are over 50,000 plugins to choose from, so it can easy to add a few too many to your pages. But how many plugins is too many? The short answer is that it depends on what your site needs. And the type of web hosting provider you use. Before we get into the specifics of how many plugins you should have, let’s discuss the potential problems that having too many plugins can cause. The problems caused by plugins will vary depending on which plugins that you have installed, how they’re coded, which ones are actually active, and more. The largest problem with having too many plugins is that some can slow down your site. Since 40% of visitors will exit a website if it takes longer than three seconds to load, watching the number of plugins you install is beneficial to your website’s success. Even more serious, some WordPress plugins can make your site more susceptible to security breaches. If your website isn’t secure, all of the hard work you put into creating your blog or designing an ecommerce store can be destroyed by hackers. Attacks are coming quicker and faster every year. From 2015 to 2016, there was an increase of 32 percent more hacked sites. And it can cost tons of time and money trying to repair all of the damage. At least 47 percent of all WordPress vulnerabilities are Cross Site Scripting (XSS) vulnerabilities, according to Wordfence. This occurs when malicious scripts are added to the code of a plugin. Websites can also become compromised when plugins are outdated. 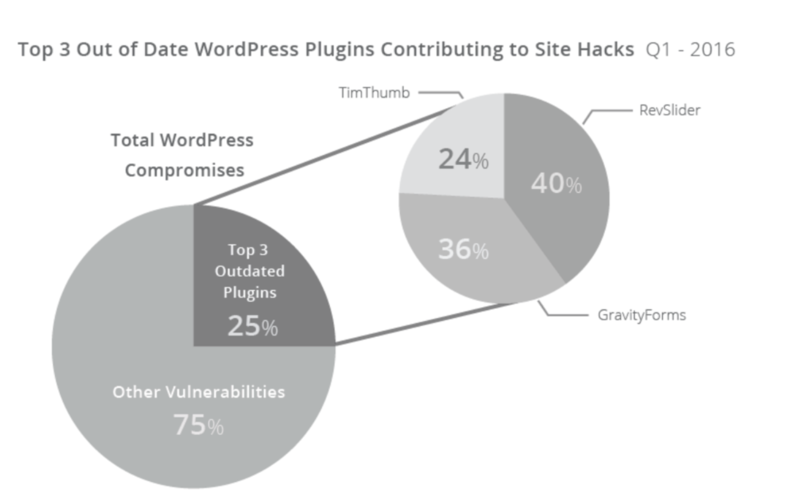 According to Sucuri, RevSlider, Gravity Forms, and TimThumb, accounted for 25 percent of all site hacks. All three plugins are out of date. A hacked website can destroy your brand’s reputation, as well as your privacy. But it’s important to remember that there are risks involved with whatever software you choose to install. There are issues with even the most popular WordPress plugins, like WP Super Cache and W3 Total Cache. WordPress is an open source project, so people can use, change, and share all WordPress software. That’s also why most plugins are free. Therefore, poor plugin codes that cause site crashes are possible. These issues can quickly turn a great plugin into a harmful one, which can hinder site performance and page speed. Fast page loading speeds are essential to keeping site visitors. But the more plugins you have installed on your site, the slower it will be. 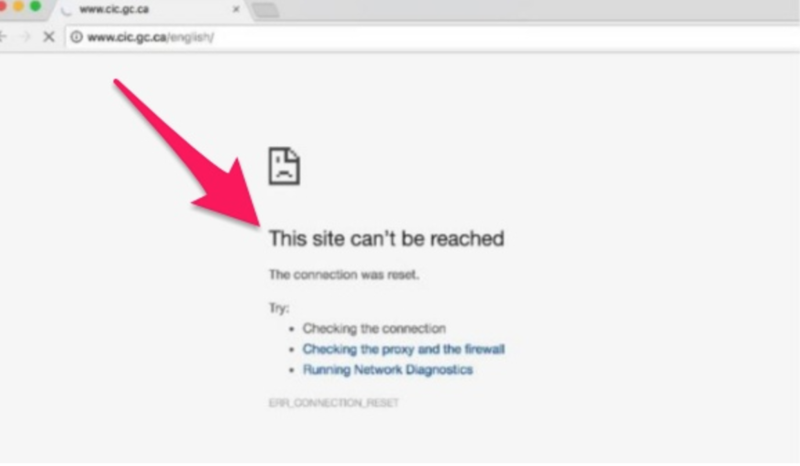 The test your site, use a tool like Pingdom. Run a full page test to analyze your website’s performance and page speeds. For every plugin that you add to your site, more code is added to the browser. That’s more to process, so the less code there is, the better your loading speeds will be. Now for the most important question of all: exactly how many plugins is too many? How Many Plugins is Too Many? There’s not a number of plugins that’s set in stone for all users. It depends heavily on the kind of web host you use, though. For shared or budget cloud hosting, stick between 0 and 5 plugins. If you use cloud hosting, VPS hosting, or a dedicated server, you can run anywhere from 5 and 20 plugins on your site without many issues. Dan Norris, co-founder of WP Curve, recommends to never exceed 20 plugins. Less is more, but there aren’t any hard and fast rules for how many plugins you can or can’t have. That’s why you should follow these tips to cut down on the number of plugins that you have on your site. Small blogs can get by with just a few plugins, but you might need at least 20 on a larger website. A good rule of thumb is to only install plugins that you truly need. For example, if a plugin isn’t necessary to use a service, like MailChimp or Google Analytics, don’t install it. You should also uninstall plugins that you no longer need or use. If a plugin isn’t vital to your site’s functionality, go ahead and uninstall it. Test out plugins before you install them on your site, too, to avoid problems before they start. When you’re selecting the plugins to remove, be honest with yourself about which plugins are actually essential. There are a few must-haves to consider. Blocking spam comments, for example, will keep your blog looking as professional as possible. Clean Talk is a great plugin for spam protection. You should also install a security plugin, which will help protect your site from malicious hackers. This could save you millions since the average successful malicious hack costs companies an average of $4 million per attack. All In One WP Security & Firewall and WPScan are two effective and trusted security plugins to choose from. You should also update your plugins on a regular basis. Regular updates are released for plugins often. 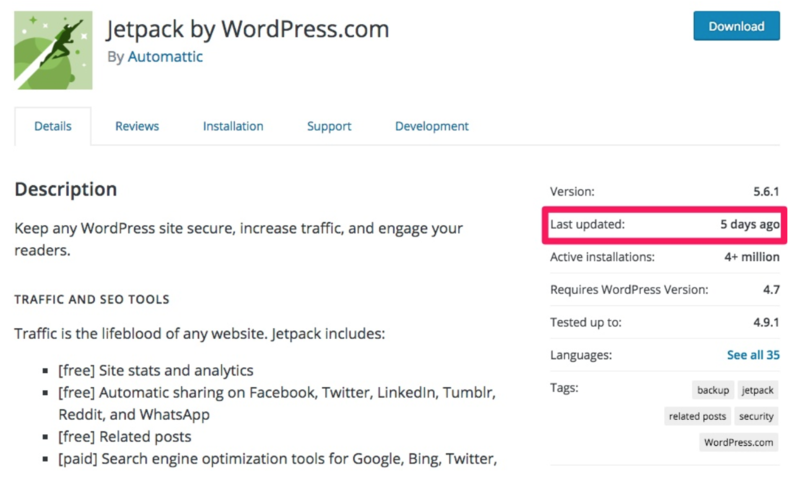 These updates include important patches that fix holes in a plugin’s security. 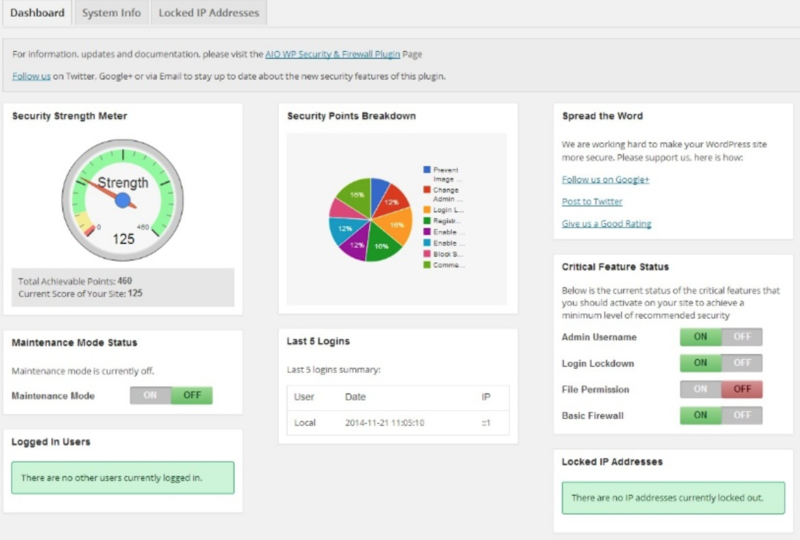 In 2014, more than 50,000 sites got hacked from a corrupt plugin, MailPoet. The problem came when a bug was found that enabled hackers to upload files directly to the users’ server to take control of the entire site. That’s why you should update plugins as soon as updates are released. If updates are available, they will appear under the “Updates” section of your dashboard. Removing inactive plugins from your site is another quick way to boost your website’s security. Inactive plugins can be used by hackers to gain access to your site. Log on to your website and check out the “Plugins” section of your dashboard. Uninstall any plugins listed under the “Inactive” tab. 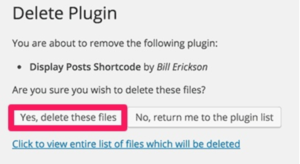 Press “Deactivate” and “Delete” to remove a plugin and all of its files completely. When selecting new plugins to add to your site, there are a few steps you can take to make sure that they are legitimate. First, you should check to find out when the plugin was updated last. Some plugins are updated weekly. If you find a plugin that hasn’t been updated in over a year, don’t install it. Some outdated plugins will warn you that they haven’t been updated so that you don’t have to go looking for the date, too. You should also check out the total number of downloads and reviews that a plugin has. Over 100,000 downloads and at least four stars is a good rule of thumb. Support for a plugin is essential because you need resources if you ever encounter a problem. 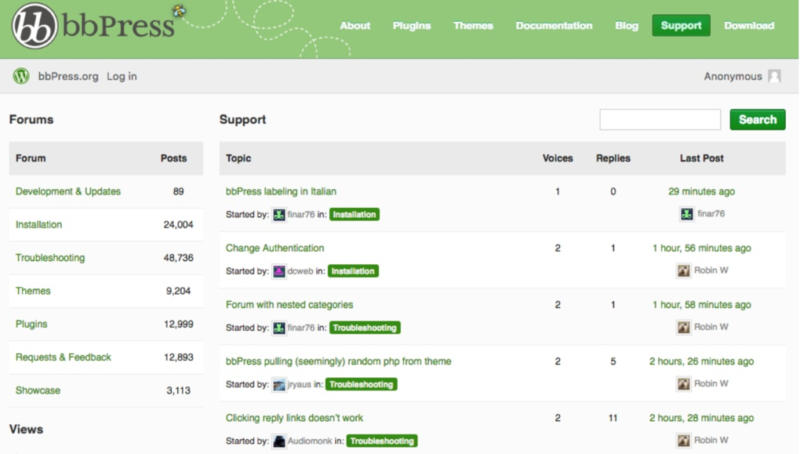 Check out the “Support” tab for each plugin description. It should take you straight to a forum or support page. If it doesn’t, don’t download the plugin. Review a plugin’s code before downloading to make sure that it’s as clean and short as possible. If you don’t have time to do this, at least make sure that the plugins you want to download came from reputable developers. Finally, if this is all too much for you, reach out to a WordPress plugin expert. Whether you’re new to WordPress or you need help finding the right plugin for your site, a WordPress plugin expert can offer you professional help to save you from a costly mistake. WPTangerine is one of many WordPress support providers that can help you fix your site’s broken pages, boost SEO, manage your site, and more. You can also reach out to the community through Twitter or Slack to ask advice on a plugin. WordPress plugins are essential for building and maintaining a successful site. But having too many WordPress plugins on your website is bad news. Too many plugins can lead to security breaches on your site, site crashes, bad performance, slow loading speeds, and more. A good rule of thumb is to never exceed 20 plugins. If your site is hosted on shared or budget cloud hosting, try not to use more than 5 plugins. Only use the plugins that you know you need and update plugins regularly to fix any holes in their security. Remove inactive plugins from your site, and only install ones from reputable developers and companies. Finally, enlist the help of a WordPress plugin expert if you need advice about plugins or help to manage the ones on your site. 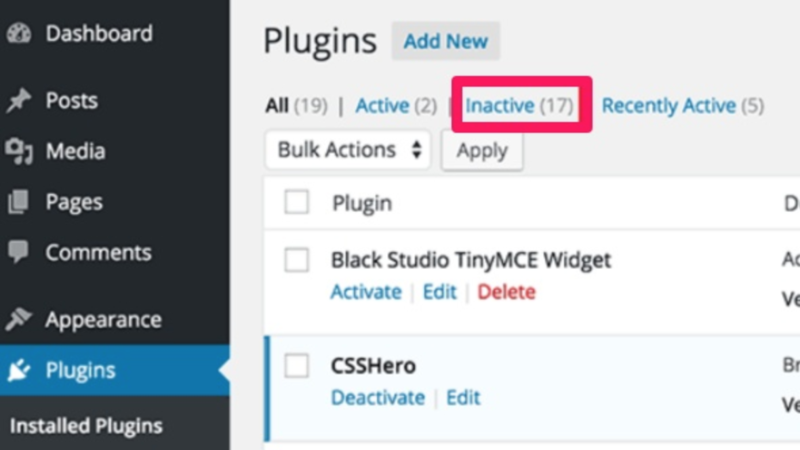 The longer you wait to remove inactive and dangerous plugins, the more your site will suffer. Trim down your installed plugins list today. And support your favorite plugins in Torque’s Plugin Madness 2018 competition! Voting starts March 5. Brad helps startups create actionable long-form content for a fraction of the price of a content writer. Give him a pug and a pencil and he's off to the races!